I made this from a kit. It was very time-consuming, but well worth the time! 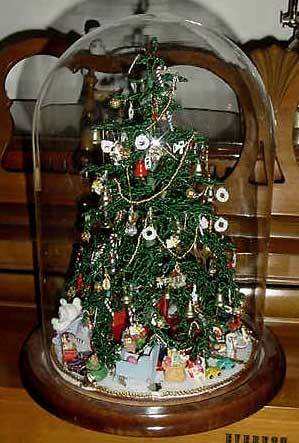 A dear departed friend gave me some tiny antique ornaments which I have displayed around the bottom of the tree. Tree with glass globe removed.